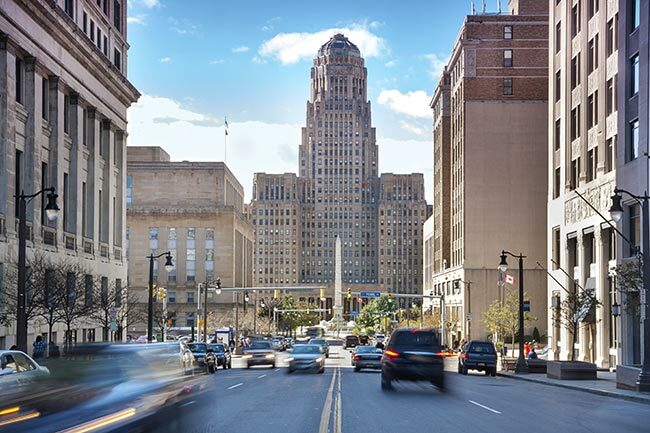 As a metropolis of 1.1 million people, Buffalo is not a particularly large city, yet it has an outsized impact on American culture, cuisine, and business. From chicken wings to beef on weck, the town’s culinary traditions have spread throughout the United States, as have its architectural styles and sports teams. Meanwhile, manufacturers like General Motors use their facilities in the Buffalo area to supply cars and other essential goods for millions of Americans. ExpeditedFreight.com offers the logistics services necessary to maintain all of these activities, allowing the Nickel City to continue playing a leading role in American life. Considering how important Buffalo’s products and culture are to the United States, logistics is a challenge in this city and its suburbs. Local businesses need to bring in supplies quickly so they can keep up with their tight schedules, but cannot allow those supplies to be damaged while they’re bring shipped. This is particularly challenging for automotive manufacturers in the area, such as the GM facility in Lockport, which for safety reasons can’t afford to use parts that are even mildly damaged. Carriers thus face a difficult choice: do they drive quickly and risk disturbing their clients’ supplies or go slowly and take the chance of not arriving in time? ExpeditedFreight.com gets the best of both speed and safety through careful planning. Whenever we ship into or out of Buffalo, we plan our path from start to finish ahead of time. By finding the shortest possible route that does not expose us to traffic, severe weather, or bumpy roads, we can get your goods to you on or ahead of schedule without running any unnecessary risks. You can thus be confident we will bring you your supplies or deliver your finished products without damaging them, all while keeping to even the tightest and most elaborate schedules. ExpeditedFreight.com relies on dedicated trucking, a tactic that involves reserving a truck for each client’s order rather than requiring several clients to share the same truck. This tactic enhances both speed and safety. You’ll get your order faster because we won’t have to deliver other clients’ goods first. Likewise, we’ll have more freedom to install storage and preservation equipment tailored to your specific goods, keeping them safer. And because we choose a vehicle based on the size of your order, you will not be charged for space you don’t use. The ExpeditedFreight.com team has shipped all over the US and Canada, serving hundreds of companies from dozens of business fields. We benefit from a vast coverage network, with personnel and vehicles in all major metropolises. This allows us to ship to Buffalo from any location, or to deliver goods from Buffalo to any destination. It also lets us dispatch emergency vehicles if the primary delivery van or truck breaks down. 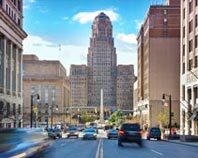 Not only do we deliver to and from Buffalo proper, but we serve all other major communities in the region, including Hamilton, Erie, Syracuse, Cheektowaga, and Rochester. For a free quote on expedited delivery services in the Buffalo area, call ExpeditedFreight.com at (307) 459-5044.